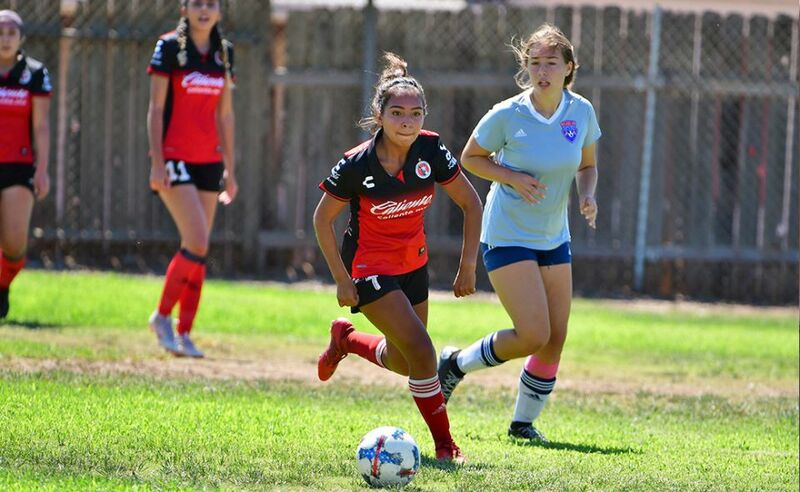 CHULA VISTA – Xolos Academy FC Boys Under-14 division kicked off a new season in the Presidio league with a 1-1 draw against Rebels Soccer Club on Saturday afternoon at Hilltop High. 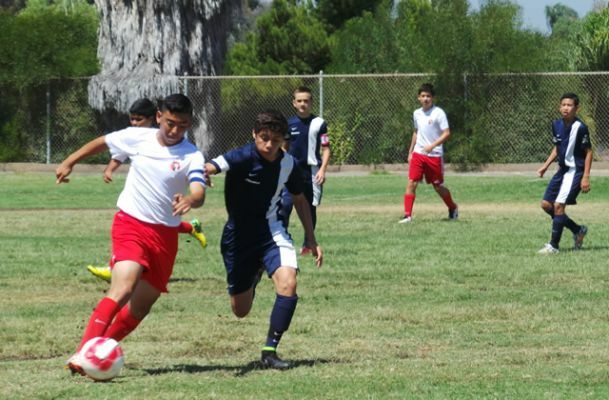 An early Nathan Hart goal leads the Xoloitzcuintles Academy to a start the season with a point. 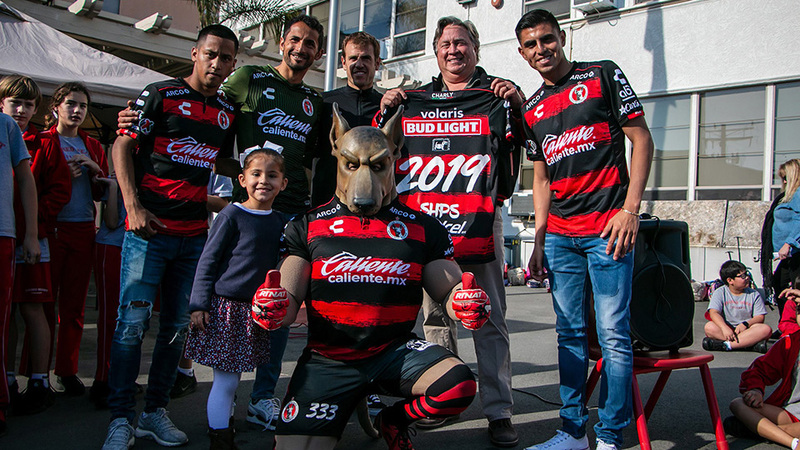 The Xoloitzcuintles began the match with a lot of early pressure on the opposition’s goal. That pressured paid off in the fifth minute when Adelmo Lopez was able to flick a throw in with his head towards Nathan, who dribbled down the middle of the box, pushing the ball past the charging goalkeeper. The Xolos Academy boys kept up the pressure most of the first half and did not allow Rebels to attack much. Rebels did have a golden opportunity to tie the game in the 12th minute after a free kick cross came in from the right. The Xolos Academy goalkeeper came up with a spectacular diving save. In the second half Rebels took control of the match as they searched for an equalizer. The game became a little rough as both teams challenged for the ball with a lot of force. Rebels found an equalizer with 10 minutes to go in the match. 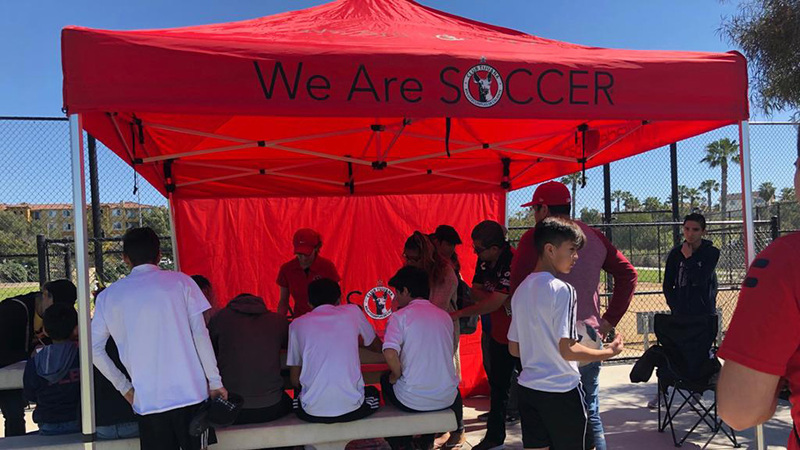 In other results Saturday the Xolos Academy FC Boys U-12 played to a 2-2 draw against TFA Blue SD at Hilltop High. The Boys Under-13 earned three points with a 4-3 win against OVC also at Hilltop High.